One could spend a lifetime let alone a year focused on that word with all it’s possible facets of discovery. Materialism, indulgences, greed, gluttony and assertiveness to name a few. But as I sang the following words, I began asking myself, “Do I truly believe in the all Sufficiency of Christ? Is He enough for me?” I extend the question to you dear reader. Do you believe that Christ is ENOUGH for you? This question, Is Christ ENOUGH? only showed up on my radar now that I have lived long enough to see the disappointments and hardships of life. Looking at those who have gone before us in scripture, we see that in their trials, tribulations and disillusionment the question was answered affirmatively. After everything of this world that we hold dear is stripped away and all that remains is Christ, it is only then that we can truly comprehend that He is ENOUGH. I end with these words which I “coincidentally” recently read on the YouVersion Application. “At one time or another, you encounter the completely unexpected followed by the unthinkable. And when it happens, the impact of it brings you to your knees, able to utter only one desperate word – “Why?” It’s an intense battle when you’re that overwhelmed. First there’s shock and anger, then comes denial, “This can’t be what my great, almighty, and loving God has planned for me – not me, not His beloved child.” You survey the situation and know there must be many different options – better ones. You wonder why God doesn’t see them. Perhaps if you just go slow and lay out the alternatives for Him – each and every one of them – you’ll help Him figure out how to reverse what’s been put in motion… But is that God’s plan? Throughout the Bible God miraculously provided for His people. Over and over He has shown He is more than enough. What did the people need in these scripture verses? What was the attitude of the people in both of these passages? Have you ever continued to grumble even after God has provided for you? How do we know there was a vast amount of water? What did the people want in these scripture verses? What stands out to you about these passages? How did God provide for the widows needs? When did the bread multiply? What is significant about this? What do both of these passages have in common? What was the response of the disciples in John chapter 6 when Jesus asked the disciples to give the people food? How much food did the people get at the feeding of the 5000? At the feeding of the 4000? What did Jesus start with and how much was left over in the feeding of the 5000? The 4000? Why do you think Jesus asked the disciples on both occasions to pick up the leftovers? People eat bread to satisfy physical hunger and keep them alive. 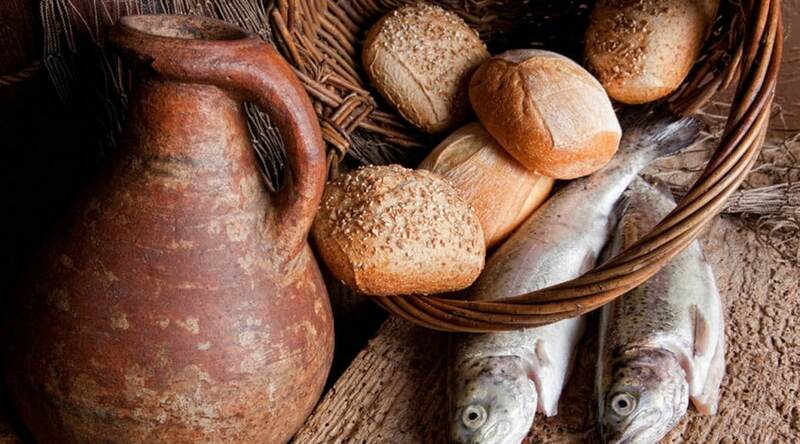 What is the significance of Jesus saying he is the Bread of Life?? According to this scripture, who gives the bread from heaven? What promise does Jesus make in verse 35? How do we receive the Bread of Life? Thank you for being real and speaking to the heart of the matter.